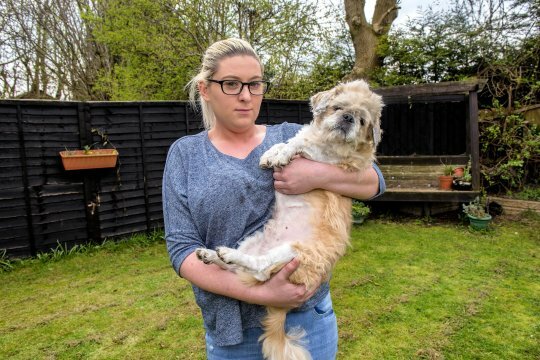 The owner said Gizmo is so terrified of getting his haircut that she had booked him in to have all his fur shaved off, after he had been sedated at the vets beforehand. Broadway Vets told Liverpool Echo they were unable to comment on specific details due to client confidentiality but stated that they had offered a solution in this case. Leanne said: ‘I love my dogs more than anything and was 100% fine with paying £250 for a fur cut but what we got back was a joke. 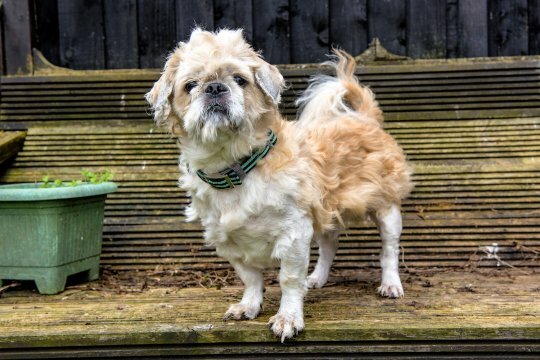 ‘£250 is a lot of money for one fur cut and as any dog lover will know, a groom is not just a one-time thing. Does this mean every time my fur baby needs grooming I will have to pay this much for a cut this bad?’ Broadway Vets emailed Leanne on Friday to offer her a corrective haircut for Gizmo to have all of his hair removed, free of charge, as a gesture of good will. However, Leanne has refused to take her pet back to the vets after the first cut. Bit like a joke . Who in their right mind would even think of paying £250!!!!! I get my daughters dog cut every few months £35. Wondering if she paid the money hope she had the sense to walk away.